The Madurai bench of the Madras High Court has put a stay on the construction of a new copper smelter by Sterlite Industries in Thoothukudi district. Activists across the state held a protest in Tuticorin claiming that the Sterlite plant is contaminating the air and water of the region. Reports suggest that security in the region has been heightened as 11 people were reportedly killed in a police firing on May 22, 2018. Just a few hours after 11 people succumbed in a police firing during protests in Tamil Nadu’s coastal city of Tuticorin, the Madras High Court has put a stay on the construction of new a copper smelter by Sterlite Industries in Thoothukudi. According to a report, the incident has triggered speculation that the police firing during the protest was all planned earlier. Speaking to media, Thamizhaga Vaazhvurimai Katchi leader T Velmurugan said that the authorities had intended to kill the organisers of the protest. Following the incident, Home Minister Rajnath Singh has sought a report from the Tamil Nadu government regarding the killings during the protest. Reports suggest that the security has been tightened and prohibitory orders have been issued in the region in order to bring the situation under control. Sterlite Copper has also released a statement condemning the incidents during the protest on May 22, 2018. “The company has appealed to the government and authorities to ensure the safety of our employees, facilities and surrounding communities. Sterlite Copper plant is non-operational,” the statement said. Pointing fingers at the state government’s failure to control the agitated mob, DMK working president MK Stalin questioned why enough police officers were not deployed to the areas to maintain law and order. “Why was there not adequate police presence to maintain law and order during #SterliteProtest? Is it accurate to say that there was a total failure of State intelligence which led to these unfortunate deaths? Did IG-Intelligence brief police and @CMOTamilNadu on the situation?”, he wrote on Twitter. Stalin also mentioned that he would not attend HD Kumaraswamy’s swearing-in ceremony which is scheduled for today in Bengaluru, in the wake of the incident in Tuticorin. 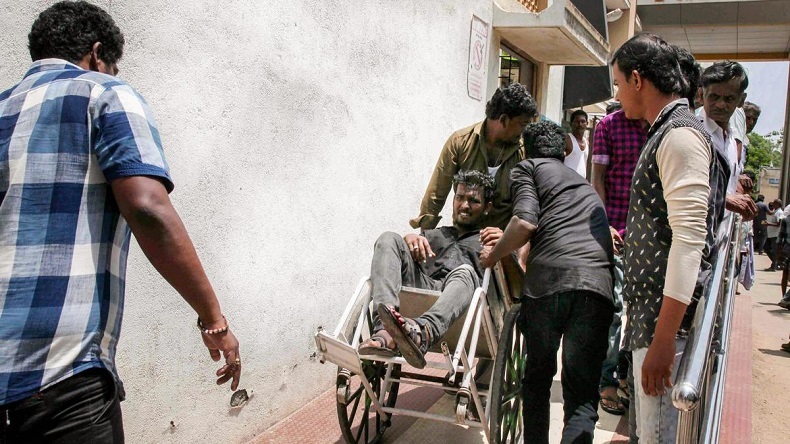 Where does the final accountability lie for the brutal murder of at least 11 Tamils? Will @CMOTamilNadu take action against DGP for failing to maintain law and order? Will Chief Secretary explain her role in this entire episode? Will there be justice for #SterliteProtest ? Tamil Nadu Chief Minister E Palaniswami has ordered a judicial inquiry into the violence and police firing while appealing for calm from the people. The CM has also assured them that he will take necessary steps in line with their demands against Sterlite Industries.